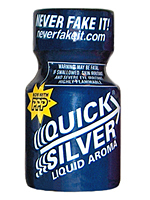 Specially formulated in 1979, Quicksilver is a faster, more intense aroma whith a special fragrance and giving a special effect. Millions of bottles have been sold around the world, making it one of the most popular brands ever developed. Ask the older guys and they will confirm you the Quicksilver as a well known, but smoother brand then the rest. Good fragrance and works fast.